Perfect choice for: Any hair type, texture (even the frizz-prone), or color–it’s also color-safe on delicate blonde shades. 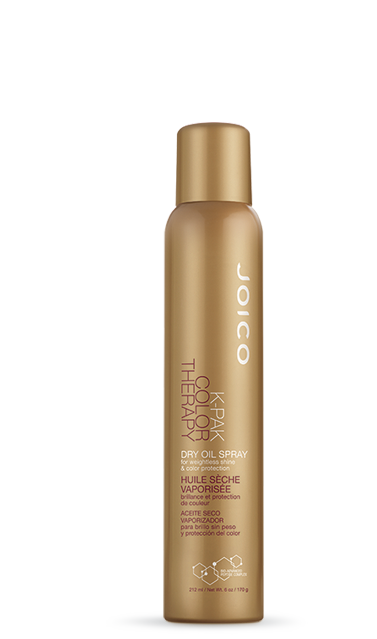 Here’s how: Simply hit the nozzle for an instant dose of shine, nourishment and tress taming whenever (and wherever) you need it. The inside secret: Sustainable natural oils (Sunflower, Jojoba, and African Manketti) replenish lost lipids; while our Bio-Advanced Peptide Complex and QuadraBond technology literally seal hair’s outer layer, creating a protective shield against color-fade and moisture-loss.